Spring is finally over and it’s Summer time now! Decided to do a post on how you could enjoy Summer! Here are some healthy ways you could enjoy and cool off the Summer heat! 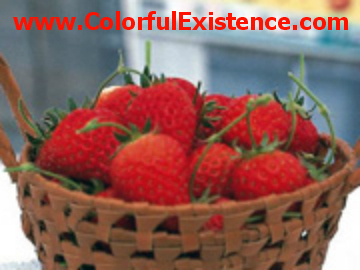 Japan currently has the largest production and consumption of dessert strawberries in the world. Their color and shape are truly outstanding and they are available almost anytime throughout the year, although the best season is from January to March. You can buy them at fruit shops, greengrocers or supermarkets. Strawberry farms throughout Japan offer strawberry picking during this season, and it is wonderful to taste them right off the vine. Cherries have a fine balance of sweetness and tartness, and the flavor spreading inside your mouth as you bite into the fruit is marvelous. They are sometimes eaten with sugar, milk or yogurt, but these days, most strawberries are sweet enough to just wash and eat. Cherries are very popular as an early summer fruit. You can see packs at fruit shops and supermarkets around. The purplish red American cherry produced in the US is popular in Japan, but Sato-Nishiki, with its bright red skin, is very popular. This is a juicy cherry with plenty of nectar and a good balance of sweetness and tartness. Being a large, high-grade cherry however, it is very expensive! 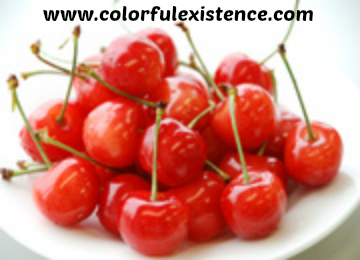 Cherries are tastiest when eaten raw; freshness is the key, so eat them as soon as possible. Shops will try to sell their cherries by the end of the day, often reducing the price just before closing time, so if you want to enjoy a bargain, try shopping around that time. In Japan, canned yellow peaches in syrup are popular and are often used in cakes. However, peaches for processing are usually imported from overseas, so if you would like to taste native Japanese peaches, you must get them from local fruit shops, greengrocers or supermarkets. Hakuto is considered the best variety of peach, and with its juicy white flesh and strong sweetness, it is melt-in-your-mouth delicious. Hakuho also has white flesh and is very sweet, with just a hint of tartness. It is renowned for the beautiful color of its skin. 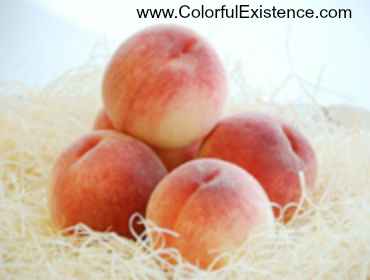 The skin of a fully ripe peach can be peeled off easily with your fingers. In Japan, the melon has an image of being an expensive fruit and is often given as a gift when visiting someone in the hospital. Musk melons are carefully grown in well-controlled greenhouses and some sell for more than 10,000 yen each. As its name suggests, this melon has a musk-like flavor and is grown only in Japan. Musk melons sold at fruit shops have a seal attached indicating the best date to taste. If you don’t want to buy a whole melon but would like to try the taste, look for cakes using musk melons for sale at pastry shops. 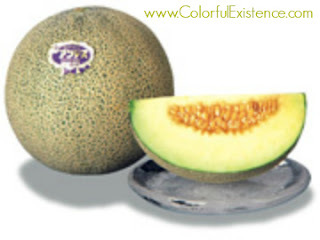 There are more inexpensive melons such as the Andesu Melon that has a white mesh pattern on the skin just like the musk melon and the Prince Melon, that has a pale green skin surface with no mesh pattern and an orange colored flesh. All of these melons have a very rich flavor. The watermelon, is a typical summer fruit in Japan. Suika-wari which is a watermelon splitting game is played on the beach and is part of the summer fun in Japan. Here, a blindfolded person tries to split a Watermelon with blows from a wooden stick while others yell out instructions about where to strike. Watermelons in Japan can be round, rugby ball-shaped, with or without stripes, and with red, yellow or orange flesh. Fruit shops and greengrocers sell whole Watermelons, but in supermarkets they are usually cut into quarters, which is very recommended if you just want a taste. 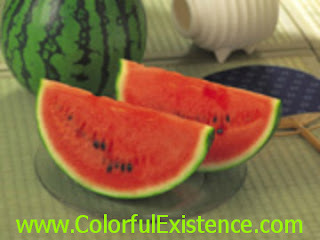 Watermelons with really black seeds and just a small space around them are the tastiest. If you want to buy a whole Watermelon, tap it with your hand lightly, and when you hear a dry clear sound, it is a good Watermelon. Sprinkling the fruit with a little salt brings out the sweetness. Hope you’ve enjoyed Spring and have an enjoyable Summer! Please “Share, Like or +1” this article if you liked it! Also, please feel free to add me to your Circles via Google+, Bloglovin’ & GFC! I admit fruits are kind of expensive in Japan but I can understand why. In response to your last comment, I’m original from Spain so you still can visit it (Mwahaha, planning planning~) but I also love south spain where most of my friends in this country are. Actually..i love all kinds of fruits! What weird fruits can i get to try in Spain? I would love to try them, I’ve always liked weird stuff. Yes, but as you say, I love any kind of fruit, but of course I have a few faves that I could eat everyday! In Spain, the more weird fruit you can find is the one we made sweet, like apple sweet or melon with ham. But you also can fin Latin fruit like avocados, coconuts or pineapple. The most weird thing you can find in Spain, talking about food, are some desserts mixing salat and sweet. Hahahahahahaha!!! I totally understand the way you talk. It’s really pervy! Hahahahahahahaha!!! Yet, i fully understand (Guess we’re quite alike here) ! I’ve tried melon with ham, Mixing salad & sweet is something new to me! Now that’s another reason to come! Thanks for the info on the Local fruits in Spain. Would it be alright if i called you that?? The Melons are BEST! Trust me on that! P.S: Followed you via Imotive, twitter, GFC & Google+! I once saw a pack of cherries for 33,300yen. Luckily in Florida fruit is cheap, local, fresh, and delicious! Yeah I dislike summer VERY MUCH!!!! And yes, I love Spring season and also Winter! Autumn’s alright but NO SUMMER FOR ME! I would love to visit Florida someday!